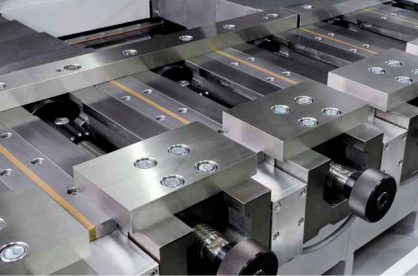 The high precision profile grinding machine moves a column in x-direction and works with a programmable servomotor-driven C-axis with a swivel area of –30° to +30° for helical gearings. 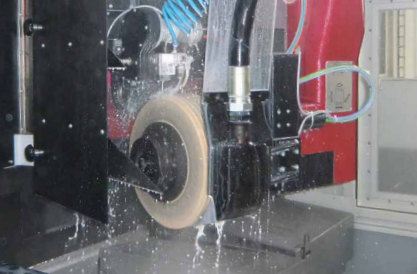 The basic machine includes an range of equipment features that allows to use the machine in a very high level of machine availability for the precise production. 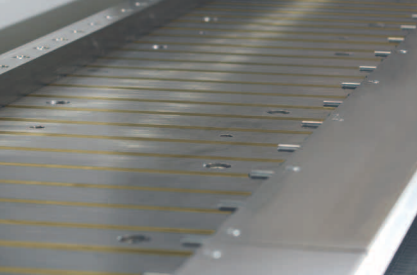 Encapsulation, a position measuring system for all axes (apart from rotary axes), as well as a conditioned cabinet are equally important and therefore part of the standard version as well as chip conveyors, a filter system for the cooling agent and shock-absorbing elements. The machine bed of the travelling column machine is made of a ripped welded construction. The generously dimensioned guides consist of the linear axes X, Y, Z, W and U made of high-precision profile guides which are centrally lubricated. Heavy steel covers protect the guides of the linear X- and Y-axes. A 840D sl Siemens control with Sinamics-drives in a Rittal conditioning cabinet is used. 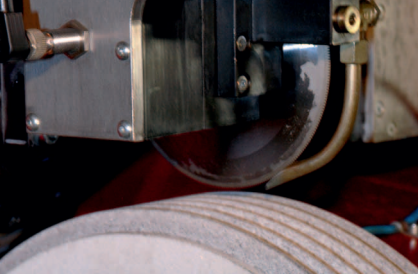 The user-friendly User Interface guarantees easy and comfortable machine operations. The rigid construction guarantees a long lifespan combined with highest precision. 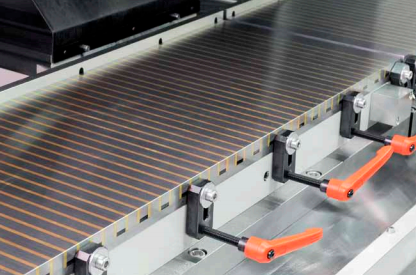 State-of-the-art linear drive technology ensures increased productivity. With the sophisticated operating concept ergonomic handling and short training units are possible. Cooling device with integrated deep bed filter. 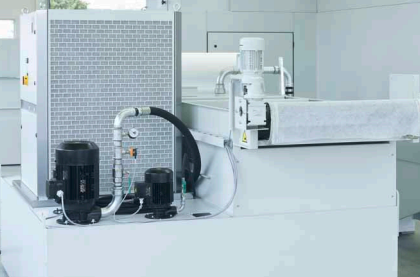 Optional with 34 kW Coolant chiller. 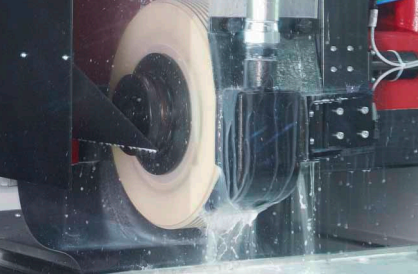 The dressing of the grinding wheel during the grinding process with a 3-axis CNC-controlled diamond wheel guarantees a constantly high quality and less downtime. 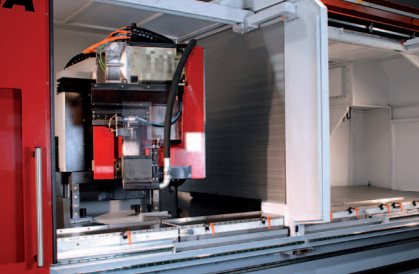 From a working length of 4m the machine can be equipped with a fully automatic partition.